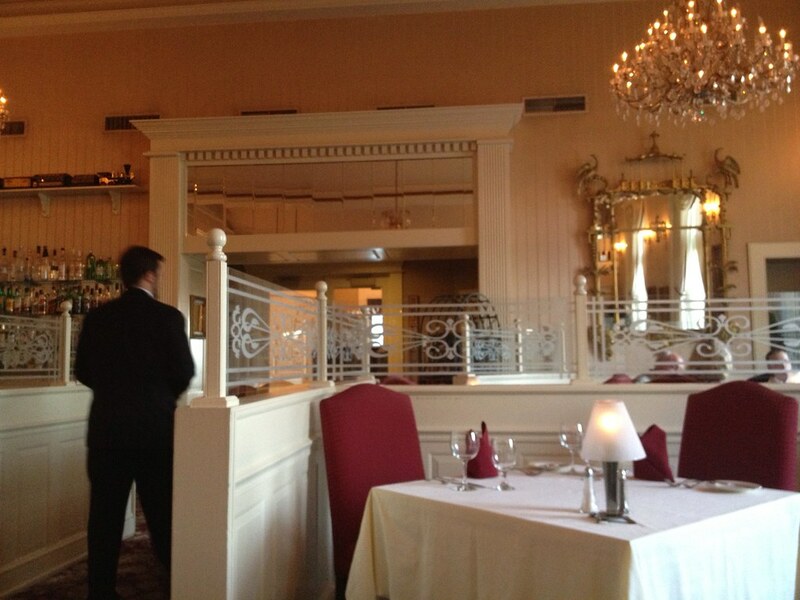 Laury's is a well-known fine dining restaurant in Charleston, and it had been on my bucket list for some time. 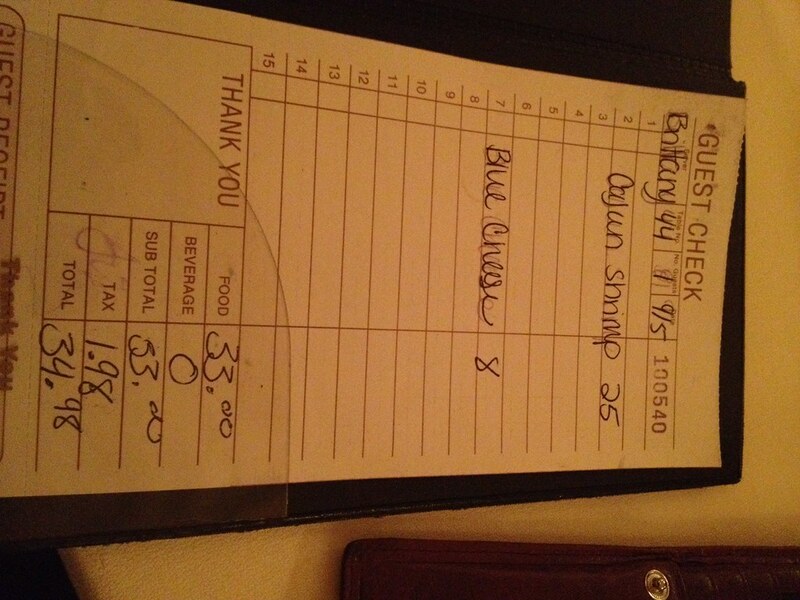 But because of the price tag, I didn't get around to going until I went for my going-away dinner with Brittany. Going away? Yes. 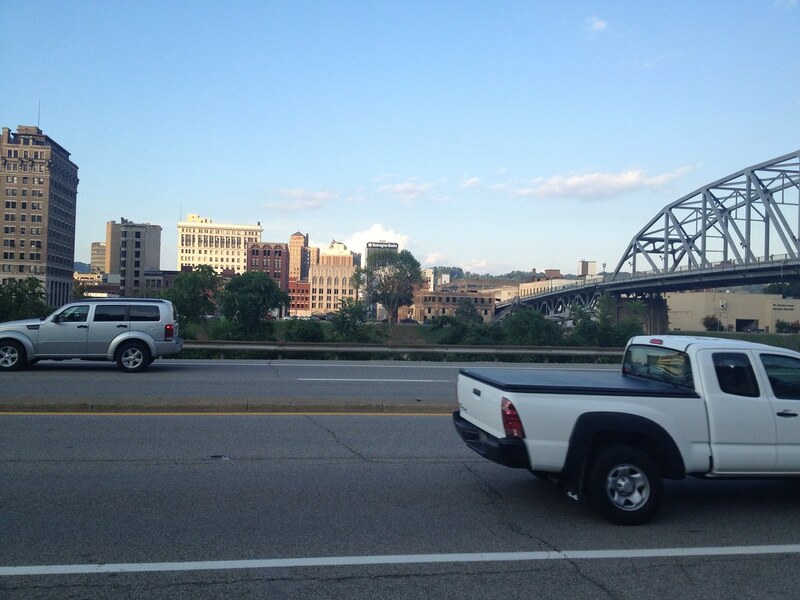 I moved back to Morgantown for a new job. Didn't think I'd be saying that anytime soon, but you know, life. 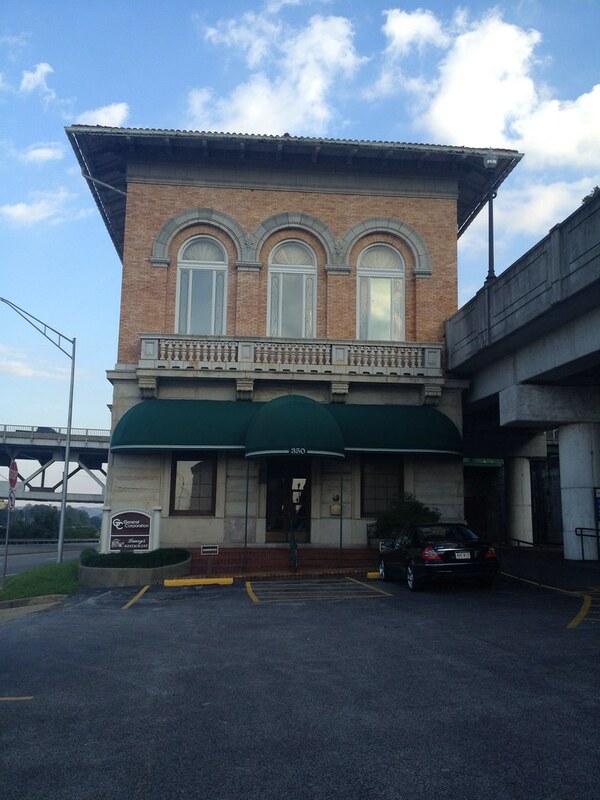 Laury's is right on the river, across from the newspaper offices. Reservations are recommended. This place is decked out with white tablecloths, tuxed servers and cloth napkins, so put on your Sunday best. 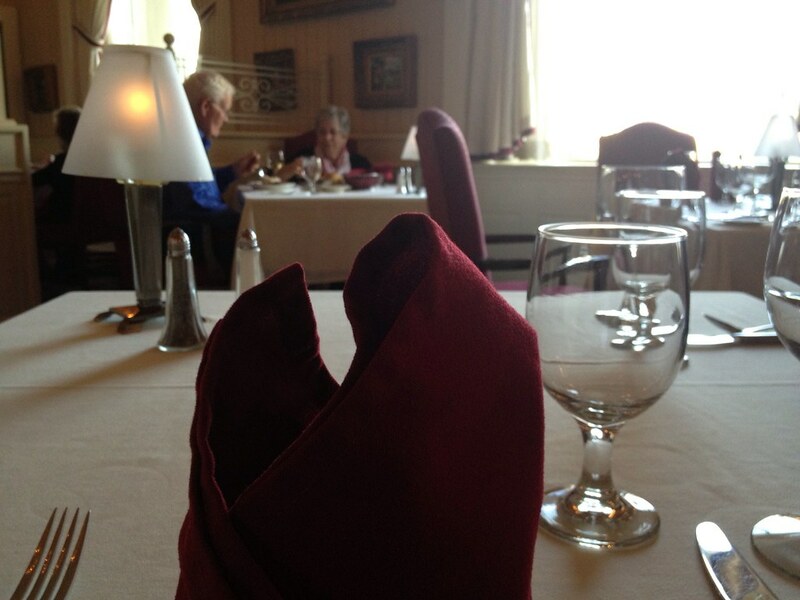 When we were seated, we brought the median age level down to probably about 50. Charleston's elite seem to frequent this place, and it was clear we stuck out, but we were having fun. Playing dress up and spending money we don't have. Fun. They supplied us with a basket full of bread. Nothing to write home about here. I ordered a salad to start with - a blue cheese salad. 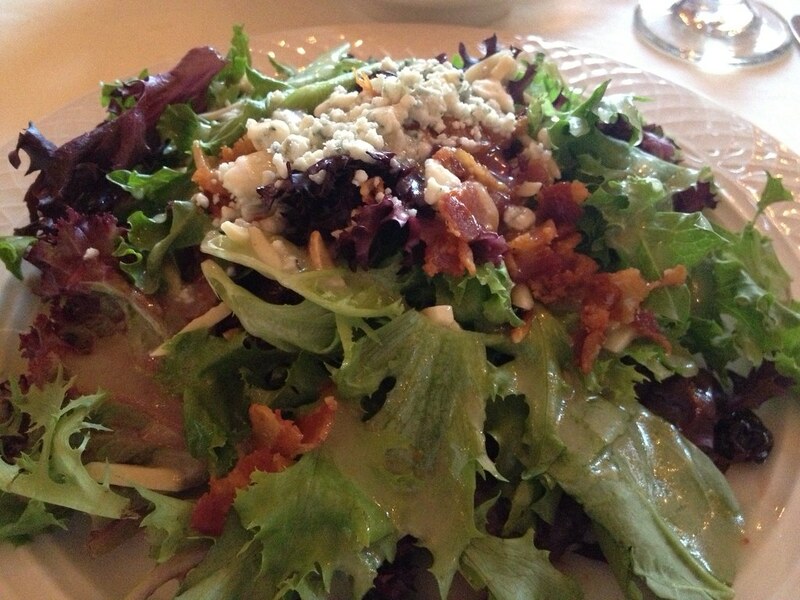 It had mixed greens, blue cheese crumbles, bacon, dried cherries, almonds and a mango vinaigrette. I love the sweet and salty. Everything was fresh, and the nutty flavor with the blue cheese is a fav combo. The vinaigrette was sweet, slightly tangy, but delish. 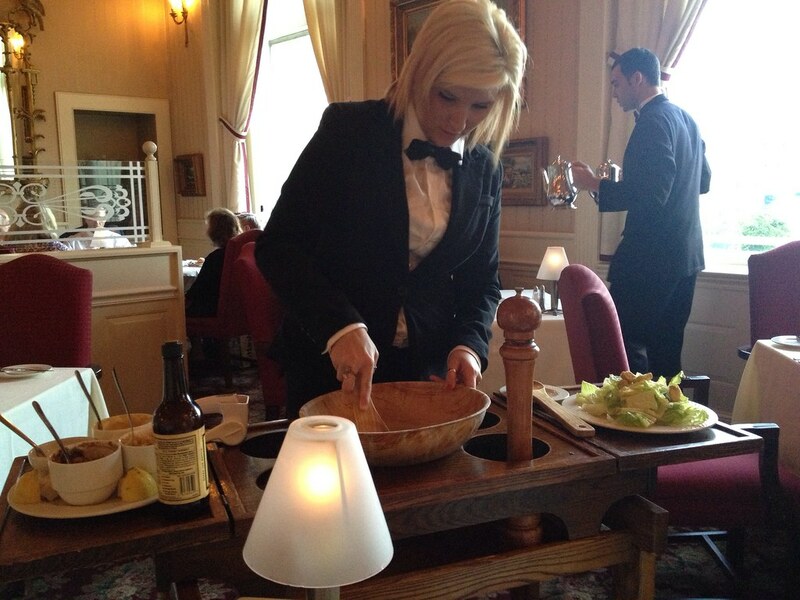 Brittany ordered a caesar salad, which is made tableside. So, that's cool. Our server combined garlic, anchovy paste, mustard, egg yolk, ground pepper, and olive oil. If you're a fan of such things, take Brittany's word for it - she loved it. Me, not so much. 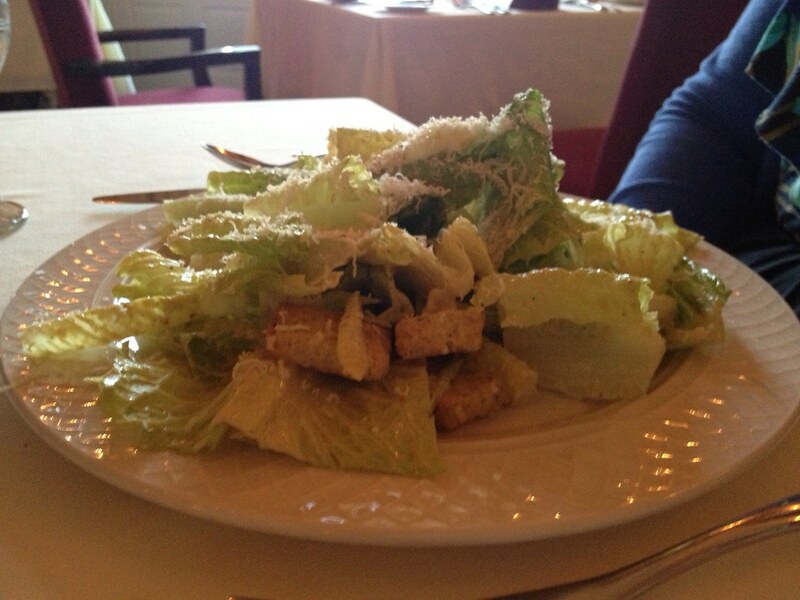 Caesar salads don't really do it for me. But every other salad also looked amazing, so I don't really think you can go wrong. They all have that sweet/savory thing going on, so yes. 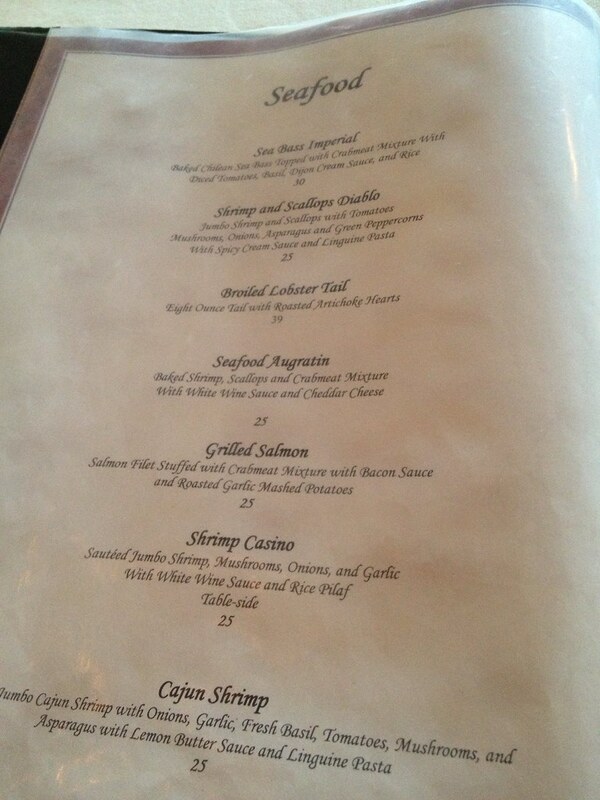 My entree was the Cajun Shrimp - I had heard lovely things about it. And it's probably not typically the thing I would go after, but I was in the mood to experiement. 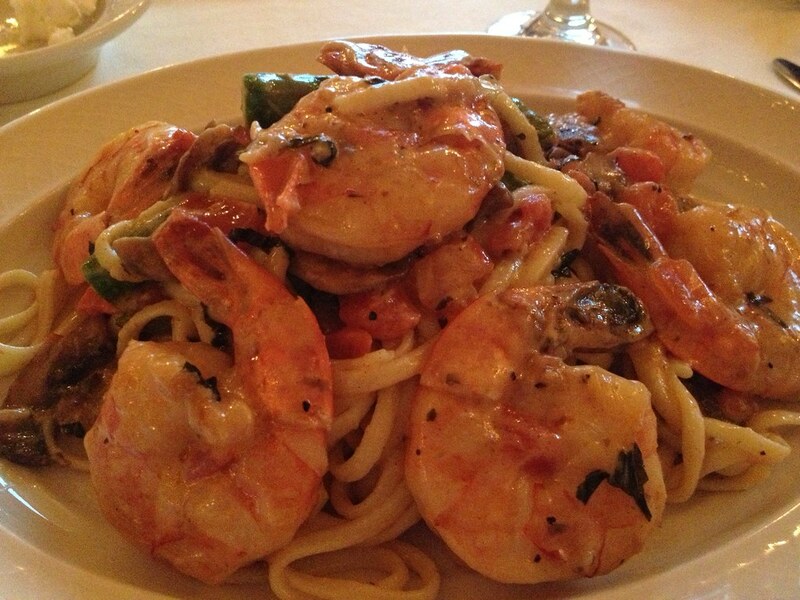 It is shrimp with onions, garlic, basil, tomatoes, mushrooms, asparagus with lemon butter sauce and linguine pasta. $25. It was good. I could taste the cayenne, paprika and peppers. But the flavors were lacking something. It was a fine dish, but I wish it had a little more "oomph." Something to make my tastebuds dance. It was just okay. It was fine. No vibrancy. 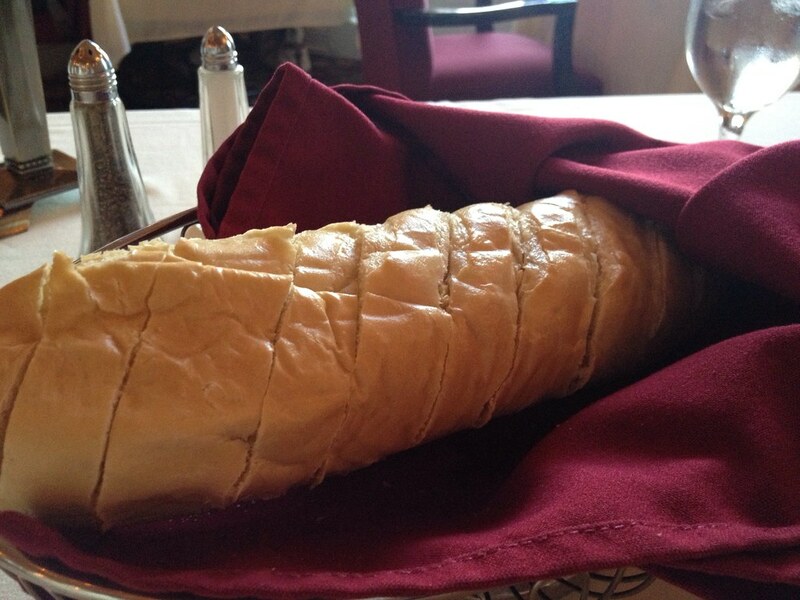 And on top of that, the tails were still on, which is a terrible idea for a dish like this. 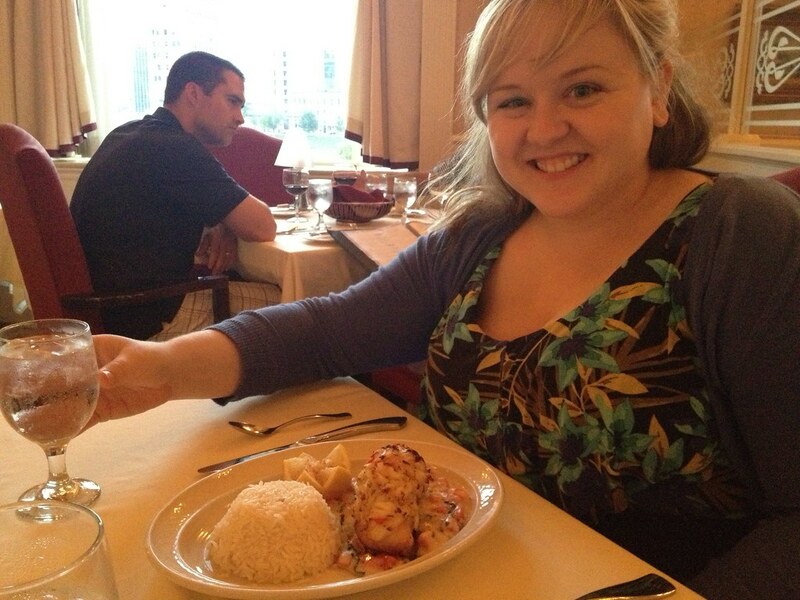 So instead of being able to just eat it with my fork, I had to pull the tails off, which was incredibly ladylike. If there's a way to skillfully do that with your fork, I have yet to master it. 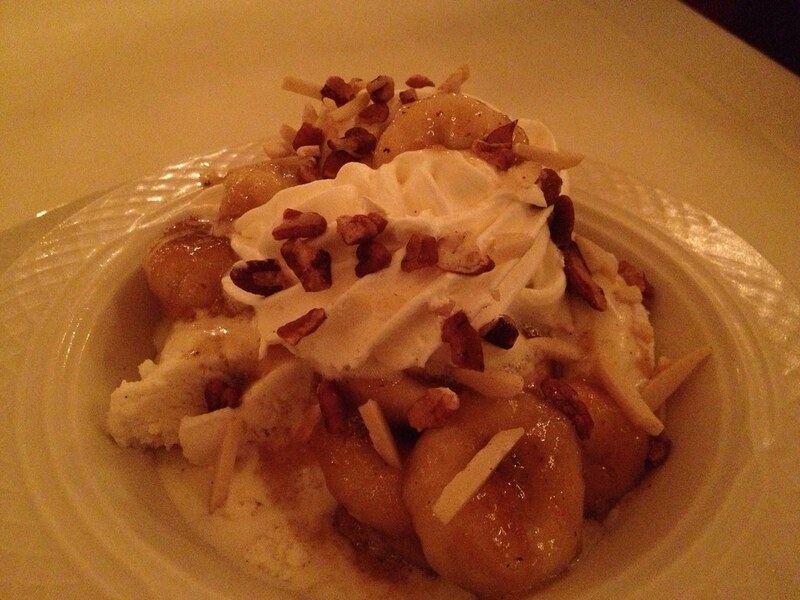 Bananas, vanilla ice cream, nuts, whipped cream, oh my. 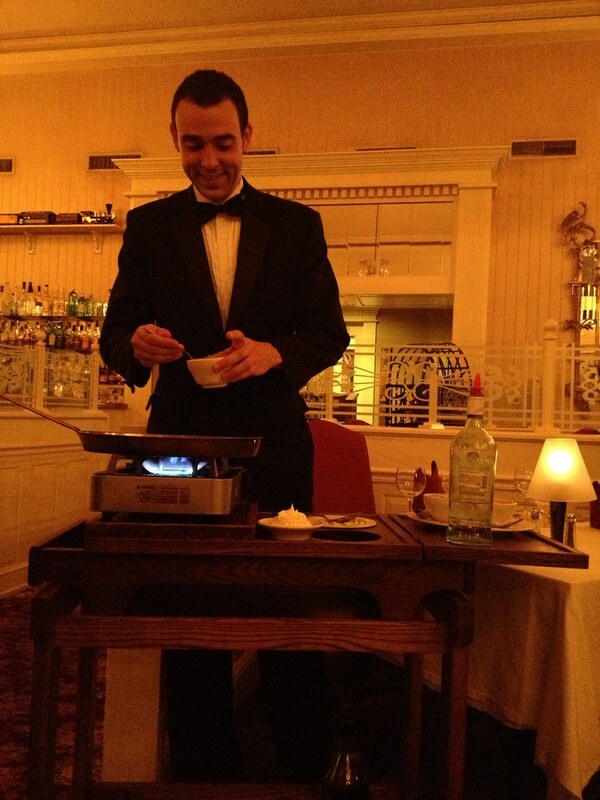 Served as a flambe. 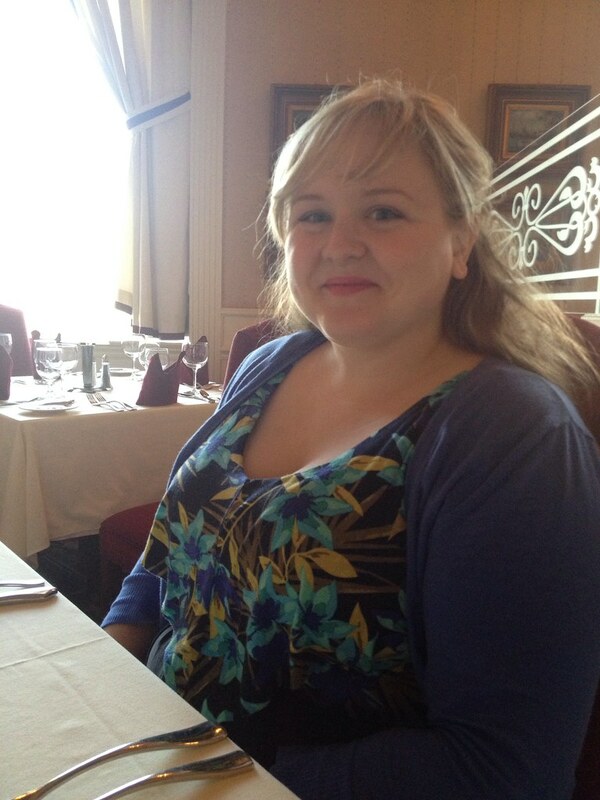 While it's a good place for the occasional fancy dinner, it's definitely not place I could go to all the time. The food was good, but more than that -- not sure.